The windows of the galleries have been covered by yellow transparent film, creating a filter between the exterior and the interior. 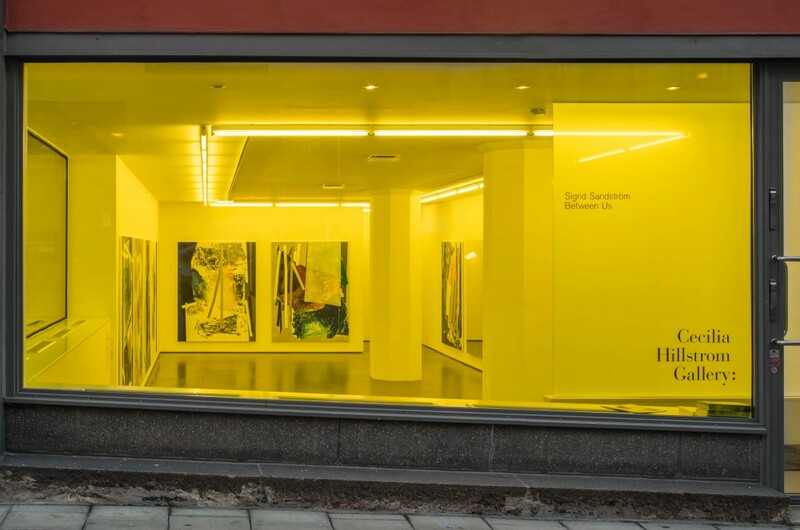 The intense colour becomes a link between the spaces and is also present in the paintings by Sandström. Paintings and mirrors are installed side by side, enabling an interaction between reflections and illusions. 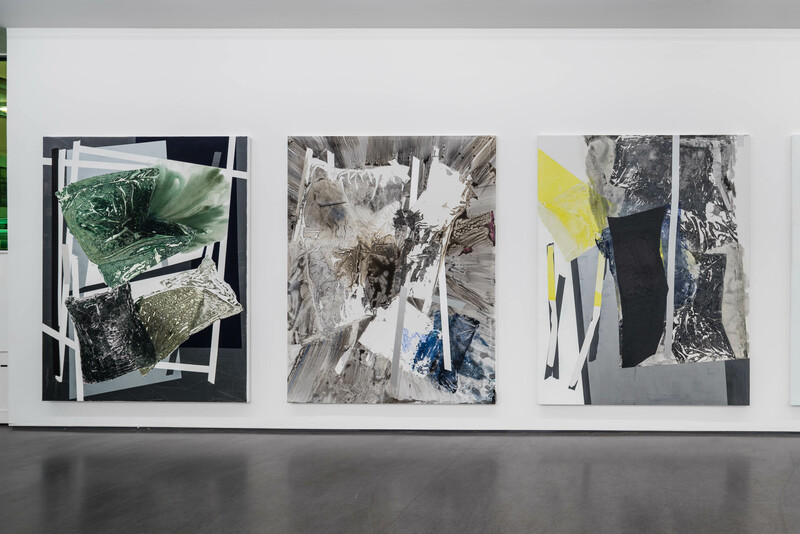 The effect of repetitions and duplications connects the paintings with the space and the viewer, whose movements are being surveilled, observed and reflected. 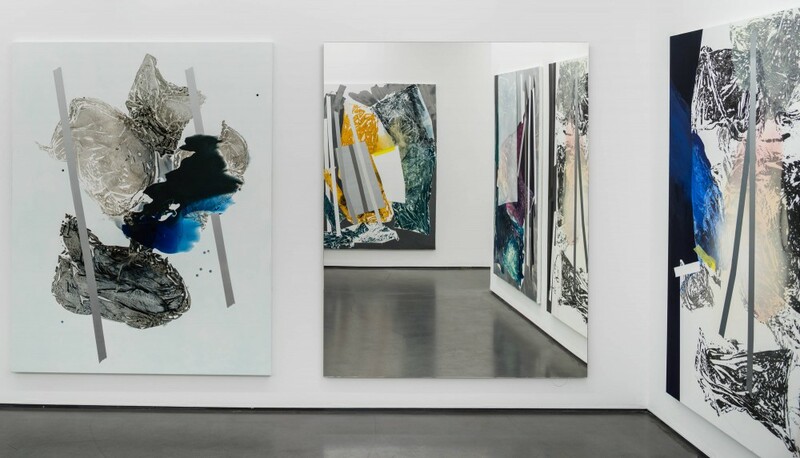 Sigrid Sandström’s practice is engaged with reflecting on the relationship between the painter, the painting and the viewer. Where lies focus, when and why? 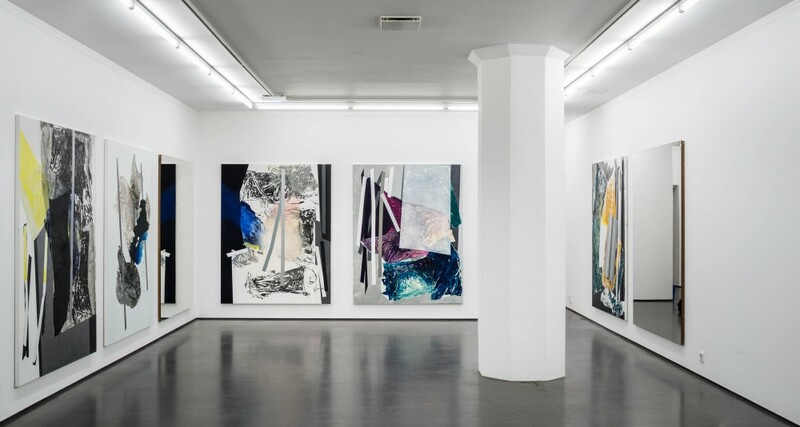 Sandström works primarily with painting, through which she has been exploring site as a concept as well as emotional experience. Over time, the depicted large-scale, barren and uninhabited landscapes have become more abstract. Her paintings fail to conform into categories, and continuously explores the ontological conditions and limitations of painting. The indeterminate, or unnamable, plays a central role both in Sandström’s investigative work process and in relation to the viewer.